As we know a value type is allocated space on stack, And every value of type must be initialize to some value while declaration. If you don’t provide by yourself C# does it for you. So every value type is assigned some value whether you initialize it or not. 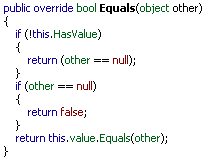 Nullable type has a capability to hold a value or can have null reference, means there is no value. Nullable types were introduced in .net 2.0. 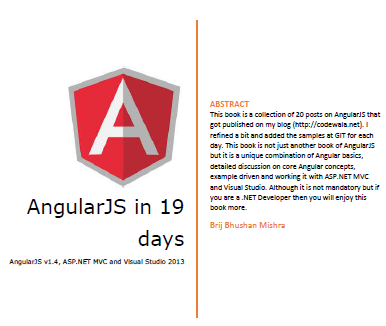 If you would not assign a value you can do it with Nullable types. As we can do it with reference types. public struct Nullable<T> where T: struct . 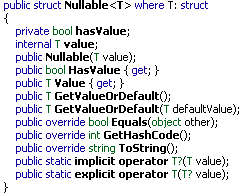 It means Nullable can be used over struct type i e value type. Here you can see that this is assigning value to the variable and setting hasValue as true. So it actually has one property hasValue that does the entire job. By defat it is set false and once we assign some value in it is set as true. So whenever one access it without assigning it a value it returns null reference. Now lets see the HasValue property. It is just returning the hasValue. As you can see whether hasValue is true or not. If false throw some exception else it return the value. This also checks the hasValue before comparing it. Actually here I have declared and intialised an int variable and created a nullable type and assigned the int variable to it. This is actually accomplished with the help of the operators. So it means we can assign a value type to a Nullable type which underlying type is same as underlying type of a Nullable type without any casting. So I think you all must have enjoyed weel. Theare are a lot more thing still remaining that I’ll cover in my next Post. This entry was posted in C# 2.0, C# 3.0, C# 4.0, C# basic things and tagged C#, CodeProject, Nullable. Bookmark the permalink.